Our 8th Year Anniversary. 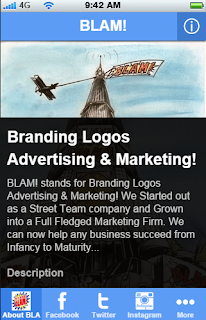 What's New With BLAM! Peace and Great Day All. Today is our 8th Anniversary of Being in Business. We appreciate all of you for your continuous support! We are making some changes to Help You All #Succeed! Which is our Latest Motto. We understand how intimidating it can be to start your own business. We also understand the financial pressures of everyday life. These are our two (2) main focuses on helping others succeed. To address these two (2) issues we've redone our website as well as created a new mobile app for our Brand. 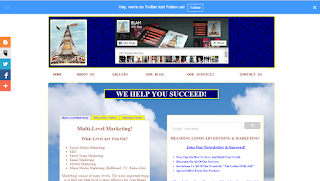 In this post we will explain how to use our new website and app to help you #Succeed. How to start or build your brand as well as how to manage the financial difficulties of Day to Day life. Our New website is much easier to Navigate through. It now also has a plethora of information about Branding, Marketing, Social Media Marketing, Logo Design, Website Design and other marketing tools to grow and build your business. It also has more links to our blogs which has even more information about the aforementioned subjects. We intend on our new site to become Atlanta's #1 online source for Success. Therefore if anyone is interested in beginning a business and don't have a big marketing budget, they will be able to go to our site and use the information and succeed, without having to spend large sums of money. We also make it easy for anyone to contact us or follow us via social media if they have any questions or need some clarity about the information that we have shared. Finally, we've created a new mobile app for our business to help our followers keep up with us on the go. Unfortunately the Mobile App doesn't have as much useful information on it as our standard desktop site but, it allows you to contact us from your mobile device, as well as follow us on social media where we post a lot of useful information about Marketing, Branding, Logo Design, Social Media Marketing, and more daily. We understand that most people are on the go and rarely have time to sit in front of a desktop. We also understand that more people are accessing the web from mobile devices now, more than desktop computers. We really appreciate your Feedback! Please #Comment or #Reply to our post to voice your opinions and concerns. Visit Our Website or Download our Mobile App at anytime. Thank you again for following our blog! We Really Appreciate Your Support! 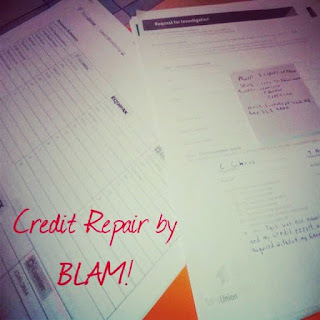 Thank You for Choosing BLAM! We Help You Succeed!